Lecterns create a focal point of a sanctuary and should draw the attention of the congregants to the speaker. 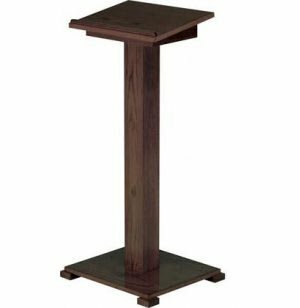 These lecterns are designed from solid wood and come in a variety of wood finishes. The slender design does not block sight lines to whomever is speaking. Instead it is a tool that the speaker can use to place notes on while focusing on the audience. 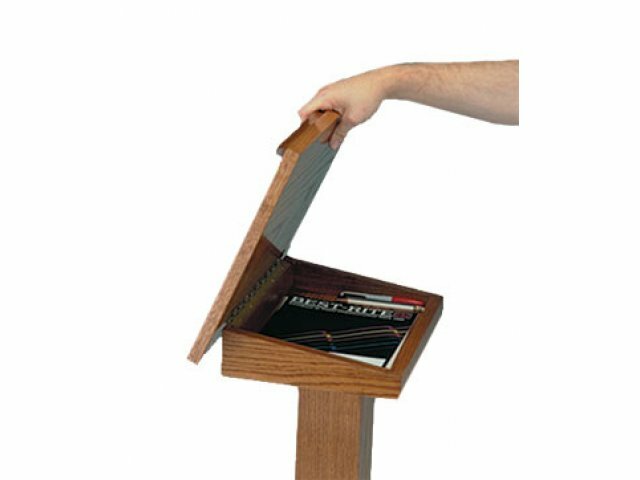 These lecterns also come with small, hidden compartments - the perfect size for a small book or lecture aid. Choose a wood finish that will complement the décor of your sanctuary. 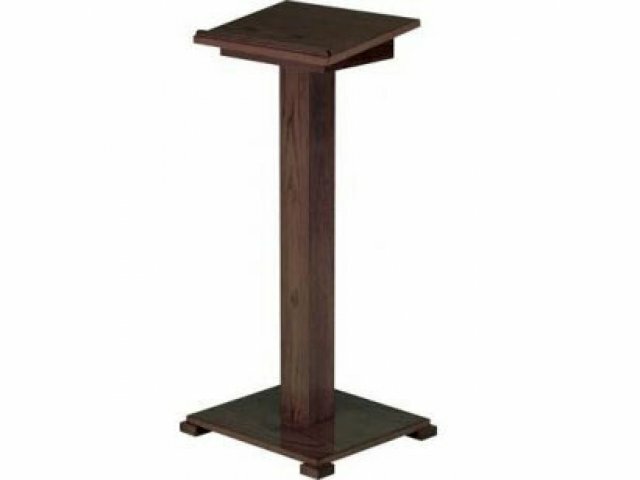 The lectern podium rises forty-two inches above a solid base that rests on four corner points for stability. A book stop edge on the lectern surface make sure that notes or a text stay on top and don't slide on to the floor. Hidden Storage: Lift-Lid Lectern features a concealed storage compartment. High- Quality Materials: Lectern is constructed of solid oak. Bookrest constructed from particleboard covered in red-oak veneer. Smart Design: Bookstop prevents notes from sliding off during presentations. Convenient Height: Stands 45" tall. Slender: Slim lectern won't block view of sanctuary or auditorium. Selection of Colors: Choose from a variety of attractive wood finishes.